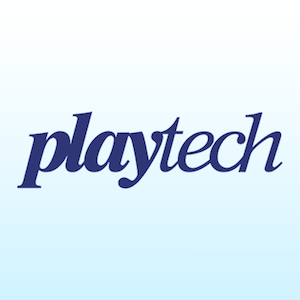 Playtech has announced that the company should hit its annual target at the end of the fourth quarter, news that has been well received after the first half of the year was fraught with profit warnings. Playtech reported a less than stellar performance at the end of the 2nd quarter recording a 38% loss in net profit. The loss was attributed to poor performances in the company’s Asian market, where it was hit hard by competition from China, and resulted in a strategic change of focus to regulated markets. As part of the company’s push to grow itself in regulated markets, it purchased Italian company Snaitech earlier this year. Snaitech contributed growth and revenue to the software developer in the first half of the year, and has carried this momentum into the third and final quarter. The iGaming brand is not out of danger yet however, as new challenges are set to arrive before the end of the year. Changes in Italian regulations could result in lost revenue in the Italian market, as analysts are predicting that regulators may ban gaming machines. Should this ban materialize, at least 50% of Snaitech’s revenue will be affected. In addition, the FOBT changes in the UK where maximum stakes will be dropping from £100 to £2 in October next year could result in machine numbers being reduced. Despite these changes, the company feels confident enough that it will reach its performance goals to announce it to investors and stakeholders. The brand has stated that its 2018 EBITDA should fall between €320 million and €360 million compared to last years adjusted EBITDA of €322 million. The company has also just concluded a €530 million bond offering which is being utilized to fund the balance of the Snaitech acquisition. These bond notes will be due in 2023, and have been issued with an interest rate of 3.75%. Playtech has become one of the industry’s biggest suppliers of online gaming software. The company is listed on the London Stock Exchange and has been operating since 1999. Its portfolio includes gaming content and product solutions. The company is registered for 140 licenses and offers its clients mobile, desktop and server-based games using its single account solution. Its gaming and betting products include sports betting, casual games, live gaming, and online casino games.